It’s very important to remember that Social Media is a two-way street. You must take the time to reply to comments and in a timely fashion too! Interact with people, retweet or share things that interest you. 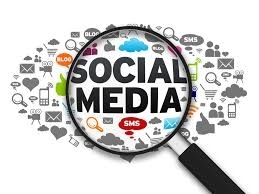 Make your profile or page an interesting source for not only information about yourself but also relevant information that doesn’t necessarily come straight from yourself. However be genuine, when you join a community and you leave generic comments on someone else’s post then turn around and self-promote you’re likely to be thrown out of the community. It’s as if you are in any social gathering and you cut someone off to talk about a new product that your company has made… how rude is that?! In short, get engaged. Building and maintaining a social media presence is not easy. It’s a full time job and no one can do it alone believe it or not one of the newest jobs created in 2014 is CCO “Chief Content Officer”. Yep, that’s right a whole new executive position for someone that sits and thinks of ways to get an audience engaged.